It's the summer of Trail Love in Sterling Forest! The Trail Conference is working hard to build the new, multi-use Munsee Eagle Trail in Sterling Forest State Park, but we need your help! 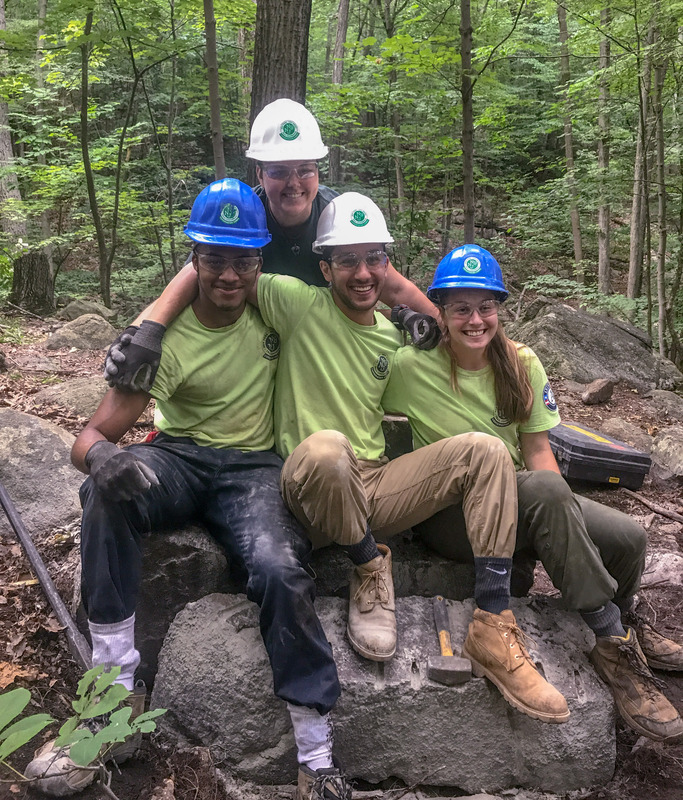 If you want to meet some of the trail heroes who are working hard to make your trails awesome, we’d love to have you come out for a few hours to see what trail building’s all about. Trail Love Days celebrate all good things about the trail community—connecting with nature, meeting great people, and creating a little trail magic. If you aren’t afraid to get a little dirty, come on out and help us keep your trails great. We’ll teach you everything you need to know about what we do, plus you’ll get snacks and a T-shirt. No experience is necessary, but space is limited. Want to make a weekend out of it? Everyone participating in Trail Love is invited to stay at the Welch Trail Education Center, our camp in Harriman State Park, before and/or after each event. You need your own transportation, and must give us notice when you sign up that you’d like to stay over. Come work, play, and camp with us! Don't have a car? Just give us at least 48 hours notice, and our Palisades Trail Crew can pick you up at the Tuxedo Train Station, minutes away from Sterling Forest. Space is limited to 12 people, so sign up now! To learn more about this project, please explore the Palisades Trail Crew page.